Most people do not know that a car battery is like a heart. Without a battery, your car cannot start, move or perform many essential tasks. 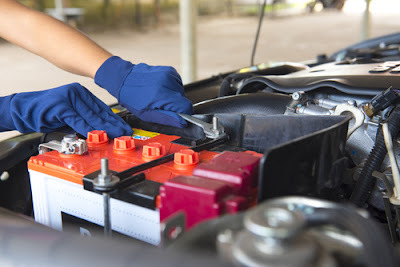 It is therefore vital to understand a bit about your car battery to be able to solve any problem that might occur. In most cases, loose battery cables or an old car battery can cause significant problems. But it is not easy to identify a car battery issue. Even an experienced mechanic can sometimes be confused by a straightforward battery problem. It is therefore wise to be able to solve some problems to save you money and time. However, there are some cases where your car battery might be dying or is dead. * It dies completely, and jump-starting is no-longer working. * When you mechanic tells you to replace it. * After two-half years, or when the battery starts showing some signs of wear. Most car batteries should last for two to three years. However, most manufacturers here in Singapore states that car batteries can last for more than five years if used appropriately. But it is essential to replace your car battery after two years to avoid numerous problems. Many things can affect the lifespan of a car battery since it depends on many car parts to perform well. Some of the things to check include the starter, the terminals, and the cables. It is also important to note that a car battery does not work well in extremely cold weather. When the engine turns or cranks but it cannot start, the problem might be the battery. Even though it might be the starter, the battery might be the problem. Even if the ammeter shows that the battery is okay, it might be the reason your car engine cranks or does not start. 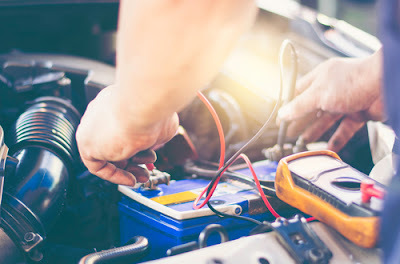 Once you find yourself in a position where a vehicle cannot crank hard to start, you may be required to be using jumper cables to get your car running. After the vehicle has started running, disconnect the cables and let your car engine run for about thirty minutes. After 30 minutes, you can stop in a safe place and do some test. Your car battery may start but this does not mean your car battery is alright. Use this time to begin searching for a new battery because it might be dying. This problem is straightforward, and it is not hard to diagnose. 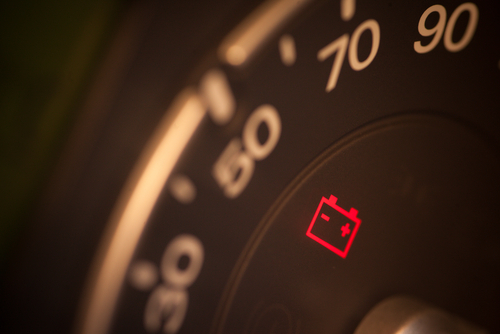 It is an indication that your car battery has a problem. We all know that a car battery's work is to for the lights and to power accessories in the car. So if no start, no crank, and no lights, then the first thing to check should be the battery. If the vehicle cannot crank or even start, but the lights are working, the problem may be something else. You might need to involve a mechanic to check the starter or a mechanical issue with the engine of your car. If this is the problem you are experiencing, your car battery terminals might be broken, loose or calcified, or you might be having a parasitic draw. A parasitic draw is when the power is drained by some gadget that is on when it should be off, or exhausted by a wire that might be touching something that it should not. For you to solve the problem, the first step is to check the cables. Ensure that the cables are firm and secure on the posts. Make sure there is no play in them. When cables are firm and tight, you should not be able to wiggle them. Also, ensure that the wires to the terminals are not falling apart. If you notice they are, replace them immediately. Parasitic draws are common issues with car batteries. You can suspect a parasitic draw if the car starts well one day but fails to start after resting for some days. To be able to solve a parasitic draw, it might be a good idea to consult your mechanic. If you look at your car battery, you may see a Cold Cranking Amps label. The amps give your engine the first power of the day. They are known as Cold Cranking. Once you notice you are it has become a hard work to start your car, your car battery might be dying. For example, when you get inside the car, you turn the key and tap the gas pedal, but it cannot start, then once you are almost giving up the car starts. Then you have to repeat this every day; then you need a new battery. However, if it is freezing, it is common for the car to start with difficulty. Apart from the batteries having a hard time when its cold, the gas is hard to vaporize. So when it is extremely cold, you may have to be a bit patient. But if you notice your vehicle cannot go back to normal once the weather warms up, you need to get a new battery. Most people in Singapore think jump-starting a car battery is a common trend that should not be taken seriously. But no matter the reason of jump starting your car, it is important to note that either the battery is dying or old, or maybe the fuel pump, the starter or the alternator are not working well. You may also have a habit of leaving your headlights on all night. However, if you have jumped your vehicle for more than four times in a week, it is an excellent time to replace the battery.